A girl, clad only in a night dress, is found walking in her sleep. Had she heard too much? Should she be “eliminated”? Jane Smith, an impecunious and intrepid heroine, finds herself in the wrong place at the right time, swept into an adventure which will include imposture, peril, romance and… murder. 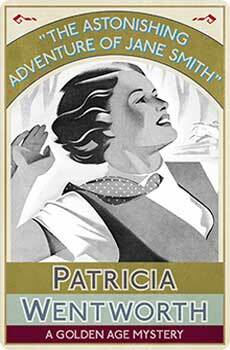 The Astonishing Adventure of Jane Smith, the first of Patricia Wentworth’s mystery novels, was originally published in 1923. This new edition features an introduction by crime fiction historian Curtis Evans.